Thats Object Dock you are using right ? You may also want to check out RocketDock, my fav, as its freeware and consumes lesser resources. AquaDock and Circle Dock For Windows Vista are two other alternatives. ahh so if i want to un-install this dock just go to programs from start menu right? Yes, either use the Programs' own uninstaller or uininstall it through the Control Panel. 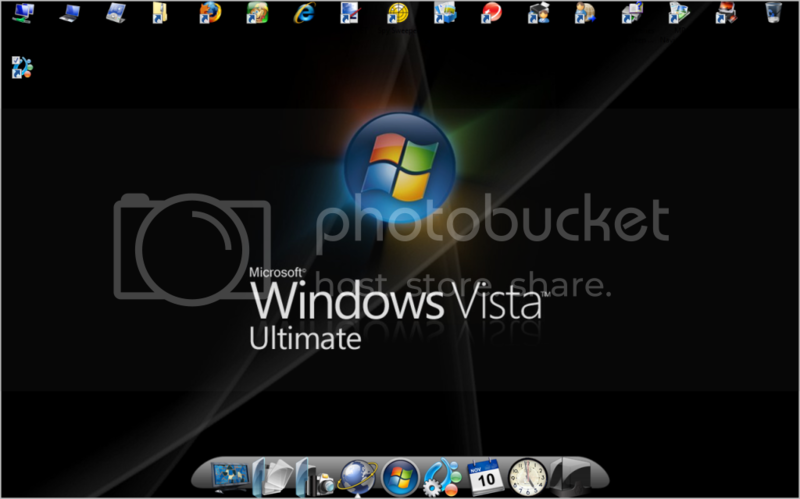 I also use RocketDock on Vista Ultimate and love it.